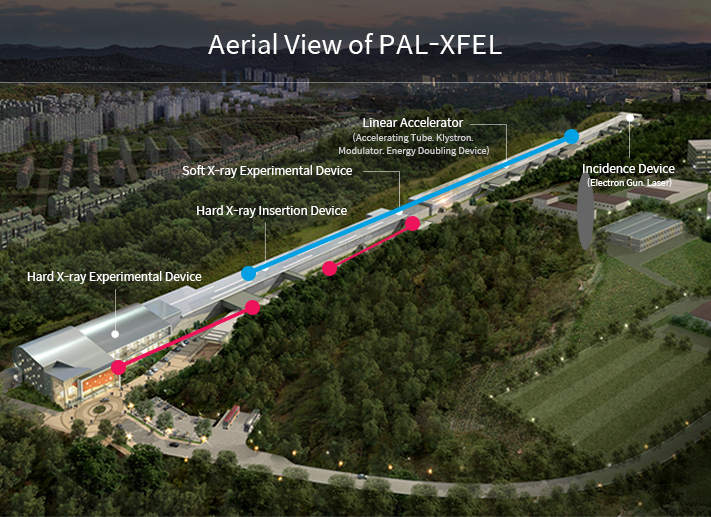 Mobiis supplied the control system and equipment (LLRF, SSA, Undulator) to the PAL-XFEL completed in 2016, and plans to supply prototypes and accelerator/experimental devices such as LLRF, BMP, SSA, Cryo modules, and ISOL to the heavy ion accelerator to be completed in 2021. In order to precisely accelerate discharged particles to a desired speed, all accelerators have a structure of resonating the particles in high-energy RF for acceleration, and in this process, a disturbance in the voltage and phase of accelerated particles. It is a core equipment correcting the disturbance to maintain the performance of the accelerators. Currently, the LLRF of Mobiis has reached top quality RF voltage stability and phase stability, and product performance has been verified by the successful test run of the PAL-XFEL on June 29, 2016. Our product requires a stable voltage and phase stability, rather than output power in contrast to general industrial amplifiers, and is a 900-watt amplifier operating in 2,856MHz pulse mode. The SSA supplied by Mobiis is remotely controlled from the LLRF, and requires precision control in order to maintain the voltage stability of 0.02% and phase stability of 0.03º.